I'm 5' 9" and around 235 at the moment. Been skiing old K2 Piste Pipes which are about 75 mm under foot and 183 twin tips. I can manage them pretty well in all but the most nasty moguls and that management should be improving shortly as I just finally sprang for a pair of T2 Ecos to drive them (R8 bindings). Those skis are alright but seem just a bit dated and perhaps on the heavy side. On Sunday I was riding the lift with a guy who was on K2 Pinnacles 95/177s. He was taller than me. 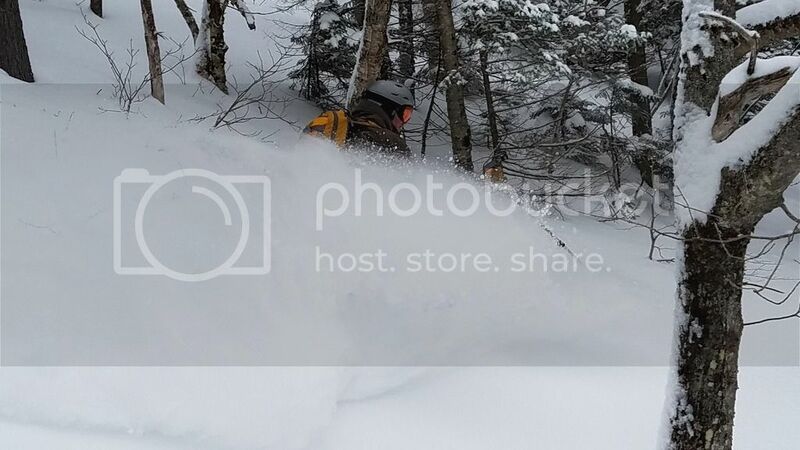 They looked like a nice ski and he said he lives in Craftsbury and picked them up at a shop in Rutland that is the tele focused place on the recommendation of the owner. He liked them. As you can tell from my rig, I don't need the latest, greatest helium and nitrogen injected plasma permeated skis. I like the way the twin tips don't hang up on moguls, particularly when I detune them a little further toward the middle than the shop has. So my question is - were I to move up to around 95 underfoot, what would be some skis to look at and are there some that have been in production a couple years so it might be possible to grab from a year or two ago? I will probably just toss the R8s on them, although I think they are hard to find and so now a basic G3 targa I guess. I see in the Telemarkdown another similar ski - Elan Ripstick 96. Hey Oldschool If you never skied a modern rockered ski I think you are missing out. They take something fun and make it more fun, easier and safer. I have both versions of the Vector and recommend them, I would also like to try the ultra vector for their softer flex. Before my wife got her vectors she changed from someone who was just as happy touring as making turns. Now she is the one who says "One more lap." Being that I'm turning 60 this year I figure that if I purchase one more quality ski I won't have enough time to wear them out. There are so many good skis around these days, it's very difficult to reccommendd a single ski. If you like K2s, which are known for being damp, make sure to pick a damp ski. No Atomics, Rossis, etc. Stick with a wood core. I agree an 'all mountain' profile with a little tip and/or tail rocker will be appreciated. Good luck, it's a great time to be alive when there are so many choices.